5 pieces. 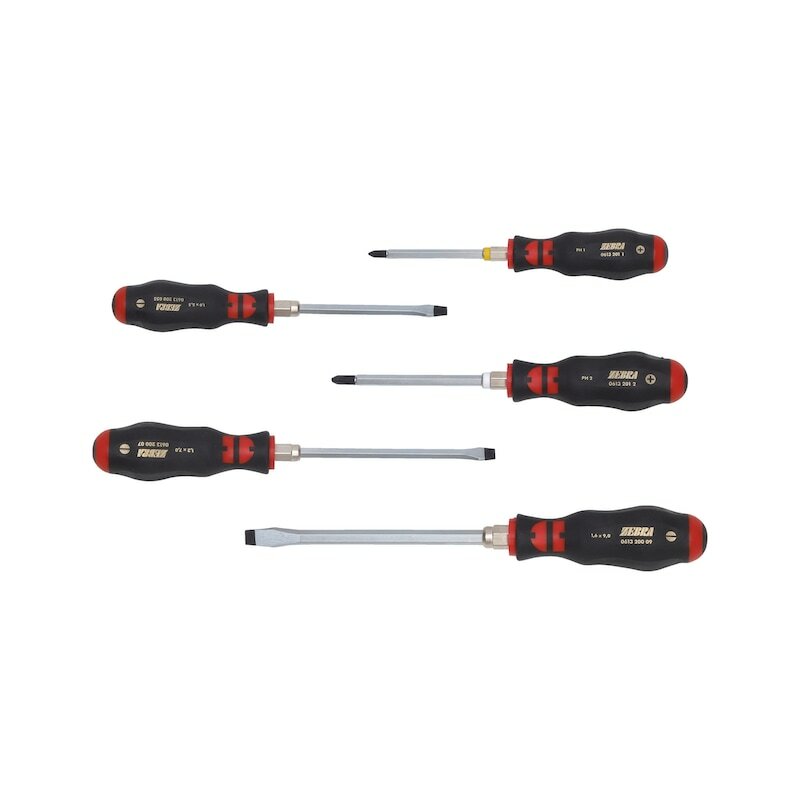 With three slotted and two Phillips screwdrivers for the automotive and metalwork trades. Description: Flexible 3-component handle ensures perfect ergonomics, power transmission and working comfort. Description: Flexible 3-component handle ensures perfect ergonomics, force transmission and working comfort.